This concerns all of us. Our era is confronted with many challenges. One of our main problems consists of reconciling the demands of the economy, the search for happiness, and respect for the environment. These imperatives correspond to three time scales — short, middle, and long term — on which three types of interests are superimposed: ours, the interests of those close to us, and those of all sentient beings. The economy and finance are evolving at an ever-faster pace. Stock markets soar and crash from one day to the next. Those who live in ease are often reluctant to alter their lifestyle for the good of those less fortunate and for the benefit of generations to come, while those who live in need aspire legitimately to more wealth, but also to enter a consumer society that encourages acquiring not only what is needed to live a decent life, but to keep on chasing after superfluous things. Satisfaction with life is measured in terms of a life plan, a career, a family, and a generation. It is also measured according to the quality of each passing instant, the joys and sufferings that color our existence, and our relationships to others; it is also given or denied by the nature of external conditions and by the way in which our mind translates these conditions into happiness or misery. As for the environment, until recently, its evolution has been measured in terms of geological, biological, and climatic eras, over dozens of millennia or millions of years, except for global catastrophes from giant asteroids or volcanic eruptions. In our day, the rhythm of change keeps accelerating because of ecological upheavals provoked by human activities. In particular, the swift changes that have occurred since 1950 have defined a new era for our planet, the Anthropocene (literally the “era of humans.”) This is the first era in the history of the world when human activities are profoundly modifying (and, at present, degrading) the entire system that maintains life on earth. This is a completely new challenge that has taken us by surprise. For many of us, the notion of “simplicity” evokes a privation, a narrowing of our possibilities and an impoverishment of existence. Experience shows, however, that a voluntary simplicity in no way entails a diminution of happiness, but on the contrary brings with it a better quality of life. Is it more enjoyable to spend a day with your children or friends, at home, in a park or outside in nature, or to spend it trotting from store to store? Is it more pleasant to enjoy the contentment of a satisfied mind or constantly to want more — a more expensive car, brand-name clothes or a more luxurious house? The American psychologist Tim Kasser, author of The High Price of Materialism (2003, MIT Press), and his colleagues at the University of Rochester, have highlighted the high cost of materialist values. Thanks to studies spread over twenty years, they have demonstrated that within a representative sample of the population, individuals who concentrated their existence on wealth, image, social status and other materialistic, extrinsic values promoted by consumer society are less satisfied with their existence. Focused on themselves, they prefer competition to cooperation, contribute less to the general interest and are unconcerned with ecological matters. Their social ties are weakened and, if they count many relationships, they have fewer real friends. They show less empathy and compassion for those who suffer and have a tendency to use others for their own ends. They are, paradoxically, in less good health than the rest of the population. Excessive consumerism is closely linked to extreme self-centeredness. But it all concerns us, as well as our children, those close to us, and our descendants, along with all beings, human and animal, now and in the future. Concentrating our efforts solely on ourselves and our relatives, in the short term, is one of the regrettable manifestations of egocentrism. Individualism, in its good aspects, can foster a spirit of initiative, creativity, and going beyond norms and old-fashioned and restrictive dogmas, but it can also very quickly degenerate into irresponsible selfishness and rampant narcissism, to the detriment of the well-being of all. Selfishness is at the heart of most of the problems we face today: the growing gap between rich and poor, the attitude of “everybody for himself,” which is only increasing, and indifference about the generations to come. We need an Ariadne thread that will allow us to find our way in this labyrinth of serious, complex preoccupations. Altruism is this thread that will allow us naturally to connect the three scales of time — short, middle and long term — by reconciling their demands. We must have the perspicacity to acknowledge this and the audacity to say it. 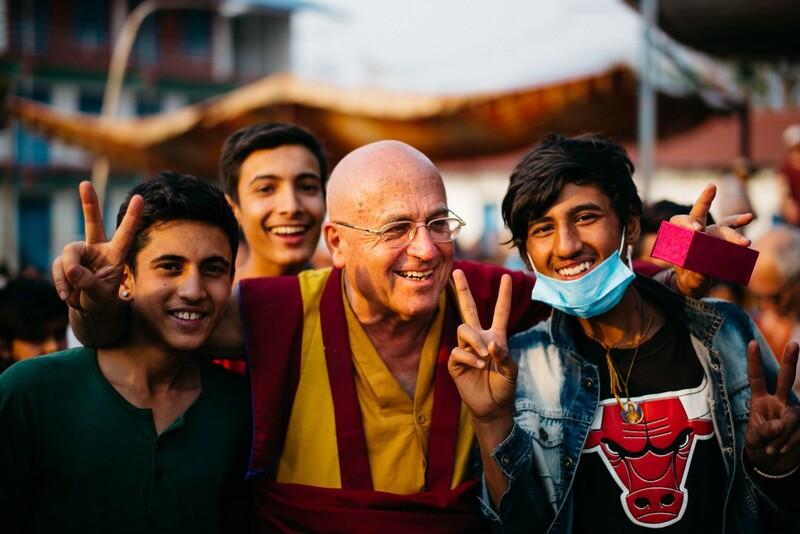 Matthieu Ricard is a Buddhist monk, humanitarian, the author of A Plea for the Animals and Altruism: The Power of Compassion, a photographer and the founder of the Karuna-Shechen, a non-profit organization dedicated to poverty alleviation in the Himalayan region.